Rated 5 out of 5 by 125 reviewers. RUFUS AND THOMAS O MALLEY THANK YOU!!! The dog loves it too..
Food that my cats really like. Both cats loved it from the first bite! At my house, we only serve the best --- Purina One is #1, paws down! Try as I might, I could not make this coupon print. Purnia One is the one ! Great choice even for picky cats! The best for the price ! Just r right for her!! Great food for a picky cat! My cats love Purina One! young and old... all seem to enjoy this. Tigger finishes all of this food and he is picky! 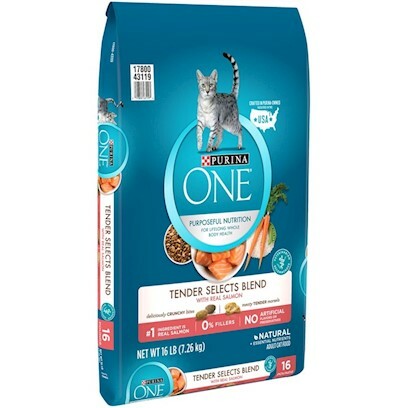 Purina One is what my cats love! MY CATS LOVE IT SO, THEY TEAR OPEN THE BAG !! !